Last January, AXE – the no. 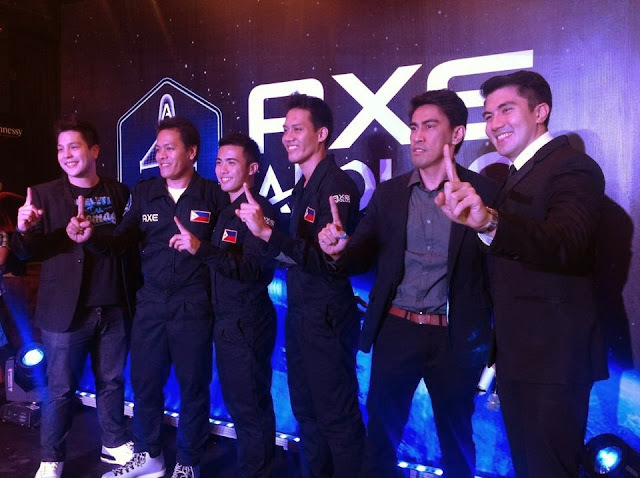 1 fragrance brand in the world – unveiled a campaign to take the first Filipino to space with over 20 others from over 160 countries worldwide to celebrate the launch of AXE Apollo, its newest and possibly most iconic fragrance yet. With over 28,000 applications for the opportunity to become the first Filipino to ever go to space, the Philippines was among the top countries that participated in the global campaign. 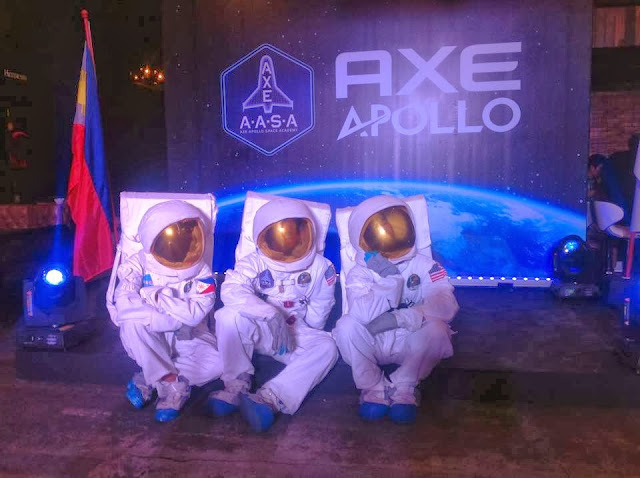 From thousands, three candidates were selected to represent the country at the international AXE Apollo Space Camp held at the Kennedy Space Center in the U.S. The three candidates underwent astronaut training with over 100 others from all over the globe. 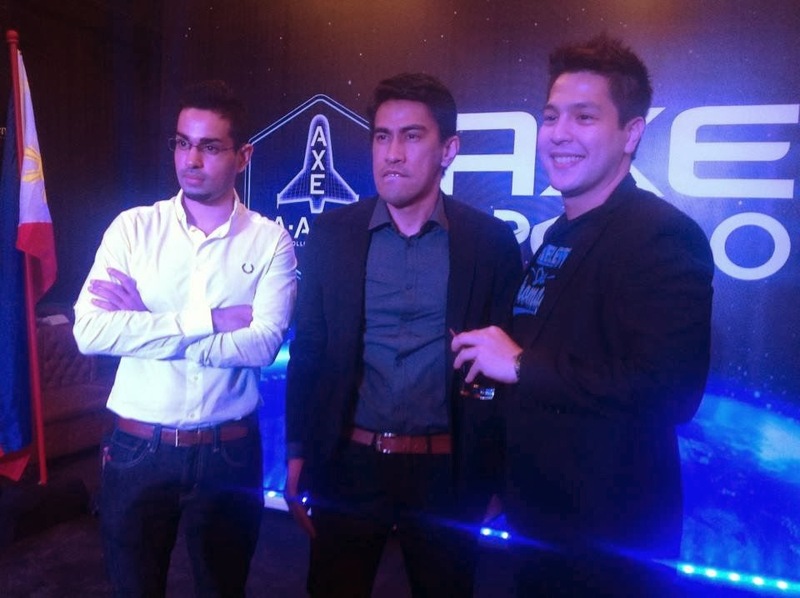 Finally, one has been chosen to take to space by 2015 as the first Filipino astronaut. Chino Roque has emerged as the first Filipino astronaut in the AXE Apollo Space Academy (AASA) Space Camp at the Kennedy Space Center in Orlando, Florida. 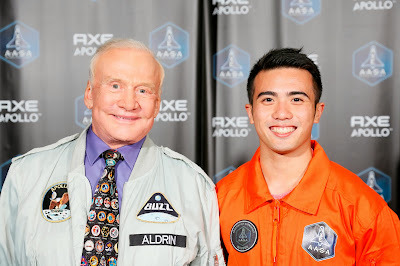 After five days of grueling tests and challenges at the AXE Apollo Space Academy Space Camp, 22-year old Crossfit trainer and De La Salle University psychology graduate Chino Roque was declared the first Filipino astronaut by no less than legendary Apollo 11 astronaut Buzz Aldrin. The ceremonies were held at the Kennedy Space Center Rocket Garden. “At the awarding ceremonies, when they called my name, all I could think about is how fortunate I am. From the start, this had been the experience of a lifetime. 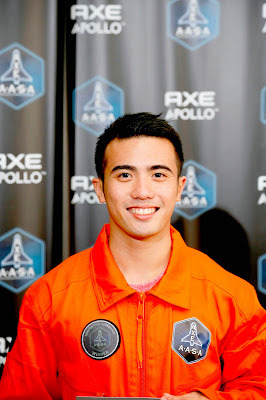 I’m grateful to the team of admirable guys I went to Space Camp with – Ramil and Evan – as well as the support of family, friends, and my countrymen,” said Roque. No less than legendary Apollo 11 astronaut Buzz Aldrin announced Roque’s inclusion in the elite group of 24 AASA astronauts who will fly to space in 2015. Roque is set to become the first Filipino astronaut by 2015, joining 23 other AXE Apollo Space Academy winners on a sub-orbital space flight. The AXE Apollo winners are Patrick Carney (USA), Théo Abbaci-Nel (Canada), Marco Gorrasi (Brazil), Oliver Knight (UK), Felix Stach (DACH), Cyril Garnier (France), Jordi Ollebek (Netherlands), Eduardo Luruena (Spain), Róbert Vokál (Slovakia), Denis Efremov (Russia), Halil Kayıkçı (Turkey), Omar Samra (Egypt), Vinay Singh (India), Takanobu Yoneya (Japan), Rizman Adhi Nugraha (Indonesia), Pirada Techavijit (Thailand), Thanh Long Vu (Vietnam), Tim Gibson (Austrailia), Hamish Fagg (New Zealand), Tale Sundlisæter (Norway), Mandlenkosi Maseko (South Africa), Qing Guo (China), and Daniel Angelo “Chino” Roque (Philippines). 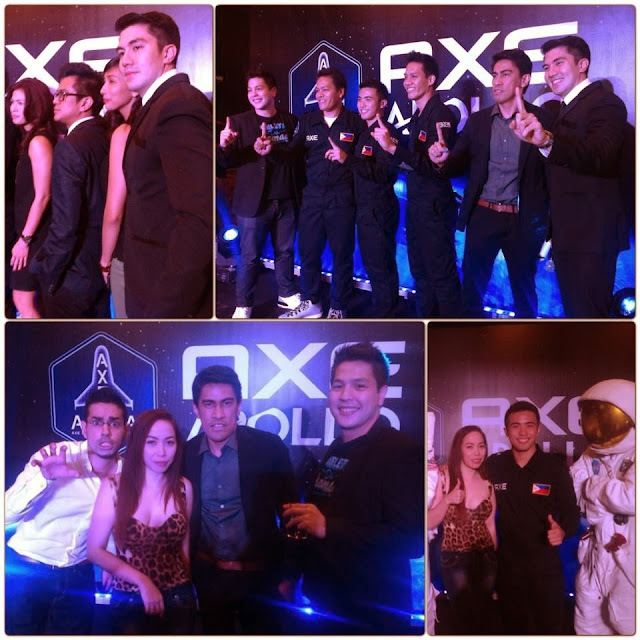 The Axe Philippine Team, Ramil Santos, Chino Roque, Evan Ray Datuin, received a warm welcome at their homecoming party held in a Taguig City Bar, last December 9, 2013. The event was hosted by Axe brand ambassadors, Ramon Bautista, DJ Gino and Sam YG. Chino Roque was overwhlemed and when asked what he would bring to space, he said he would bring a Filipino flag and rosary. 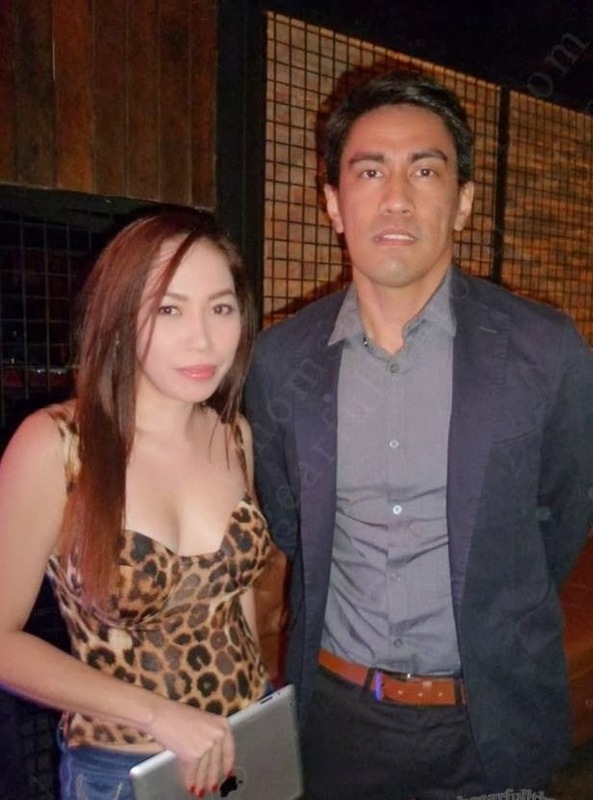 The handsome actor, Luis Manzano, also graced the event. I watched him guest in Tito Boy's Ikaw na! segment in Bandila. He is intelligent and he is really determined to be the first Filipino astronaut. We are so proud of you, Chino! Go for your dreams! Wow Proud to be Pinoy! Goodluck! Filipinos are very proud of your achievement! good luck to our first filipino in space! I saw him last night on a TV5 show. For him to endure all those tests, it makes me really proud that I'm a Filipino. Congratulations Chino! wow, first pinoy astronaut i'm so proud to be pinoy. i hope they would have a safe journey in 2015.